Towing software helps automotive towing and recovery businesses manage their operation and assist customers in need. This could include a combination of features related to truck dispatch, customer databases and payment processing, GPS tracking, and accounting. These products may also locate and communicate with garages and auto repair shops to prepare towed vehicles for drop-off. Office managers and tow truck operators utilize these products to receive emergency calls, pick up customers, and manage back office tasks—sometimes integrating with accounting or fleet management software. Provide tools for managing towing companies such as GPS tracking, truck dispatch and scheduling, customer authorization, and accounting. TOPS provides powerful tools to help you manage your business. 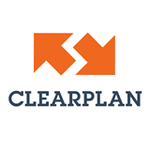 Clearplan Makes it Easy to Manage Drivers, Accounts and Recoveries. Increase Performance, Productivity and Profitability. It increases your productivity by visiting all your accounts on a regular basis. Dispatch Anywhere is a towing and roadside management software that allows you manage your organization and dispatching with tools and features to help you take control of your business. Towbook is secure, web-based towing software built for towing companies. Use Towbook for dispatching, impounds, private property, invoicing, payroll & more. With DATOW Software, you enter the call information ONCE. From that moment on, our programs track your work until it is completed. Roadside is an workflow to help you assist your customers when they encounter a problem on the road. Roadside allows you to record proper documentation of both the problem and the solution. The Tow Administrator is the premier towing office management software designed to help you effectively manage all aspects of your towing operations. 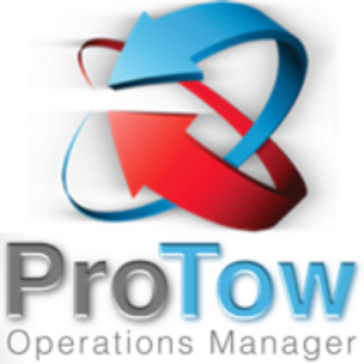 TowManager is a full featured, professional software suite built for the towing industry in order to help you run your business smoothly and efficiently. TowSoft, as a towing software product for the towing industry, is now in its second generation.. 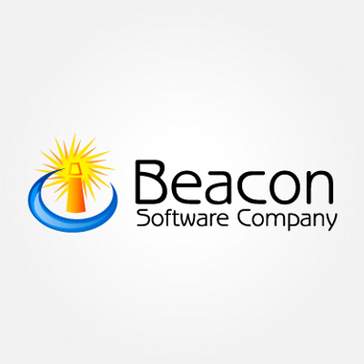 The towing industry is growing and this software product is designed to grow with it. Tow Truck 2000 is a Tow Management Software that anticipates the needs of your growing tow business. Uber For Pickup Trucks is software to tow-trucking (Pickup Trucks) business online. DispatchDirect is a browser based dispatch solution that allows you to integrate the information between dispatching and mapping, manage truck deployment to help manage calls per shift, and more. Express is a trucking management software with full featured integrated accounting and compliance management systems. InTow Software Suite is a Microsoft, Windows-based service-cycle management and dispatching solution that provides data management, accounting integration, instant messaging capabilities, and mapping to help you manage your business. LETS is a law enforcement tow system that offers real-time access to two related services including voiceless tow dispatch, direct release notification and tow coordination. Omadi Mobile Management delivers the custom mobile technology and cloud-based industry-specific CRM to track, analyze, and increase employee production, enhance communication within companies and between clients, and replace the need for multiple software solutions. At its base, Omadi was created to help companies take control of their FATE: Flexibility, Accountability, Transparency, & Efficiency. SmarTOWtm is a Windows xp compatible computerized record keeping software for the automotive tow, repair, transport, and police impound transportation industry. sureFleet is a simple and efficient dispatch system allowing small companies from any industry to manage the entire dispatch workflow through web and free mobile applications. Swoop's technology focus and deep partnerships with local towing providers allow them to deliver an exceptional roadside experience, with all the features that modern, mobile consumers expect today (truck tracking, real-time notifications). Our software gives unprecedented transparency into an industry that previously operated as a black box. Today, we work with major insurance carriers, luxury OEMs, and ride-sharing businesses nationwide. TeleNav Track is Mobile phone-based tracking service with integrated voice and visual GPS navigation, and electronic timesheet reporting. TOW123 is an affordable web-based tow management solution with features such as GPS tracking, digital dispatch, invoicing, lot management etc. TowDesk Headquarters will take care of all the operational needs of your office. They provide the tools your business needs to move ahead in today's highly competitive market. Towed offers full-featured towing software in the cloud. Rkom's Towing software is used to record tow calls. It records the date, time call was received, the time the tow was started, the pickup location, the owners name - address - phone no., who called in, license or tag number, V.I.N., year - make - model, color, tow truck driver, odometer readings, invoice number, charges and remarks. TowTrack is a powerful and easy to use program. It has been shaped and guided by our customers input for over 15 years. The result is an extremely flexible tool that allows you to run your business the way you want to run it, not the way your software makes you run it! Tracker Management Systems Inc. is a developing software designed exclusively for the towing and wrecker industry. Tracker Management software connects directly with major motor clubs, has both iOS and Android mobile apps, integrated printers and more. Tracker Touch is the first touch-and-tow dispatch system that gives you instant visual status. WolfDispatch is packed with features specifically designed to enhance any brokerage and/or trucking business. WolfWebDispatch compliments the powerful desktop system allowing access from manby devices. Desktop, smart phone, smart TV access your data from anywhere. Hi there! Can I help you find the best Towing solutions?